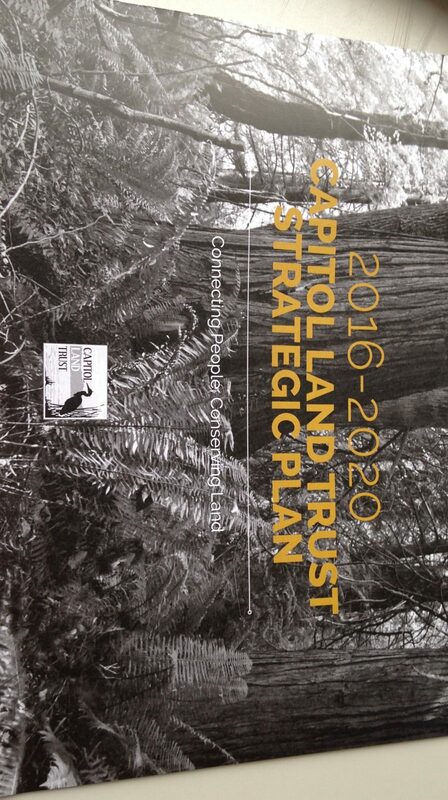 Capitol Land Trust’s 2016-2020 Strategic Plan lays out a path for action for the next five years, and beyond. We will continue to focus our efforts on protecting those natural areas and working lands that are of key importance to our region and most in jeopardy. We will reach out to our community and nurture the next generation to promote an ethic of conservation and love of the land that we hold dear. Recognizing and respecting diverse values and interests, we also will strengthen our organization so that we have sustainable resources to steward and restore the lands in our care, and can provide leadership locally, building partnerships and engaging—and inspiring—others in this important work. Click here for an Executive Summary of the 2016-2020 Strategic Plan.